History: In 1914, Sadie Grimm became the first Canadian woman to win a motorcycle competition open to men by being the first rider to make the ride from Winnipeg to Winnipeg Beach that year. The feat was notable as there was an almost complete absence of navigable roads at the time. In 2017, in recognition of this achievement and her early promotion of women motorcycle ridership as having national importance, Sadie was inducted Canadian Motorcycle Hall of Fame (CMHOF). She was also recognized in Manitoba Legislature for these accomplishments. The road to the CMHOF has involved hundreds of hours of volunteer time. 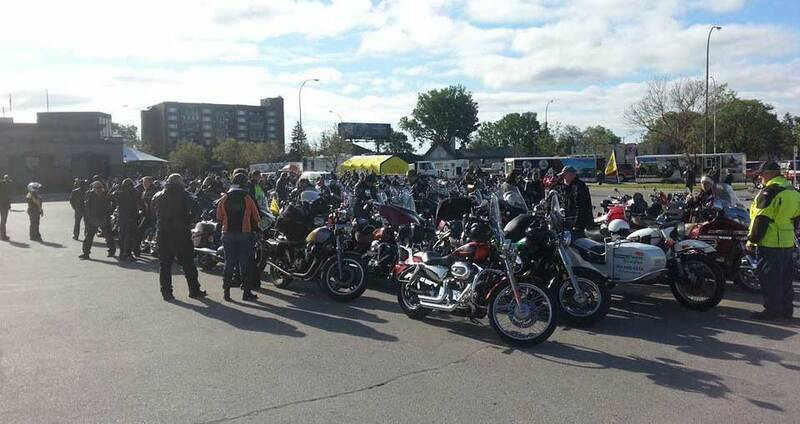 This has included the painstaking research, public presentations and public awareness events including a special ride organized by the Women’s Riders Counsel (WRC) of the Coalition of Manitoba Motorcycle Groups (CMMG) from Winnipeg to Winnipeg Beach in June 2017 (another is planned for June 10, 2018). Legacy Project: Sadie’s story has drawn significant media attention including newspaper articles and television pieces. The WRC is in the process of raising funds to build a legacy structure at the site of the former Empress Hotel in Winnipeg Beach where Sadie ended her ride in 1914. The Province of Manitoba has approved the unique all-steel & concrete design by architect and motorcycle enthusiast Brian Mansky (see below) to be built on property owned by the province. Register 10—11 am, Salisbury House 787 Leila Ave, across from Canadian Tire. Advance: Rider $20.00, plus fees.